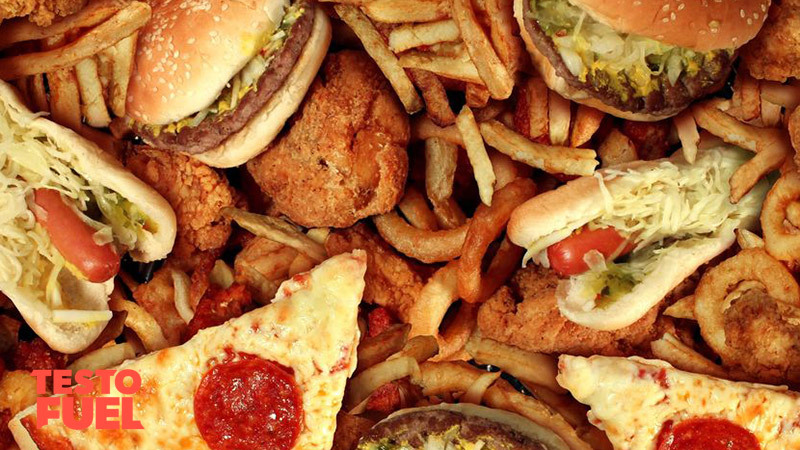 Does Junk Food Lower Testosterone? We live in a ‘food environment’ and as such we are no longer starving on the Saharan planes, hunting for food and going days without eating – food is all around us, all day, every day. The problem is though that much of this food is junk food – poor quality and processed ingredients, low nutrient value and and made with chemicals. We might be aware of the overall general health consequences of these types of foods but do they have a direct effect on testosterone? The fast-food industry generates $5.1 billion in sales per year, and accounts for nearly 4.7% annual Gross Domestic Product . For the purpose of this article, junk food refers to any food that is high in calories, contains unhealthy amounts or types of fats, sugar and salt, and is low in valuable nutrients like complex carbohydrates, protein, vitamins and minerals. Whilst it may be convenient and relatively affordable, for years, people have advised about the relationship between an unhealthy diet and health risks for conditions such as diabetes, obesity, cardiovascular disease and certain types of cancer. The link between poor quality food consumption and obesity is well known and evidence suggests that in urban areas, places with more fast food outlets have higher obesity rates. These correlate strongly to North America’s leading cause of death – cardiovascular disease . As well, obesity is a risk factor for a number of metabolic illnesses, and it isn’t surprising that those with frequent visits to fast-food restaurants – more than twice a week, gain an extra 4·5 kg of body weight and have a two-fold greater increase in insulin resistance . Testosterone is the primary anabolic male hormone. When levels are optimal it plays an important role in development of male traits such as hair growth, voice deepening and testicular growth from adolescence onwards. It also plays an important role in the development of muscle and bone mass, libido and sexual function as well. Our T levels peak during puberty and after the age of around 30 years our levels drop by about 1% per year. Normal levels for a male are 300-1000ng/dL. Clinical hypogonadism, or ‘low T’ occurs at levels below 300ng/dL and as many as 14 million men (38.7%) of US men are thought to have clinically low T levels . Men with less healthy diets have been found to have significantly lower T levels in a large joint study based at the Universities of Kentucky and North Texas . 147 men were interviewed about their lifestyle factors such as smoking, diet, and exercise, and then these outcomes were assessed against their T levels. The study found that not only did testosterone levels decrease with age, they also plummeted in those who had poor diets. The study implicated that diet – a modifiable risk factor, in addition to advanced age is a risk factor in the development of reduced T levels. Additionally, a large study published recently has found that those who eat junk food have much higher levels of exposure to hormone-disrupting chemicals called phthalates such as DHEP and DiNP – man made compounds that make plastics flexible. The study, involving over 8500 children and adults, found a dose-response relationship between fast food intake and exposure to phthalates . Those that reported a diet of ~30% or more of their daily food intake from convenience food had 23% higher levels of DiNP and 39% higher levels of DEHP in their blood. That’s bad enough in itself – phthalates have been linked to a number of illnesses – but these compounds have also been found to lower T levels too. A study by the US National Health and Nutrition Examination Survey, 2011-2012  found that as exposure to phthalates from food and care products increases, testosterone levels decrease – by up to a staggering 29%. The fast food industry generates $5.1 billion in sales per year, and accounts for nearly 4.7% annual Gross Domestic Product. So called ‘junk food’ is categorized as any food that is high in calories and unhealthy amounts or types of fats, sugar and salt but low in valuable nutrients like complex carbohydrates, protein, vitamins and minerals. There are a number of health issues related to excess amounts of convenience food, including heart disease, obesity, diabetes and early death. Research also suggests that poor-quality food can decrease testosterone levels directly, and also indirectly through exposure to man-made phthalate compounds. 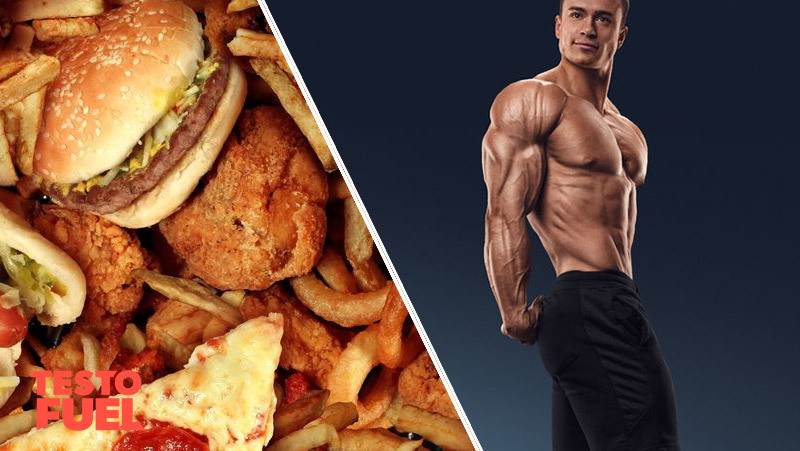 As dietary choice is a modifiable risk factor, a quick and easy way to try and boost your T levels is to eliminate junk food from your diet and replace it with foods that boost testosterone as well as supplements that support your health and performance. What else can you do to increase testosterone? When it comes to improving T levels safely and effectively you need to go for ingredients that are proven to work.